I have installed the ShopBack app for awhile and so far only used it to make one hotel and one flight booking a couple of months ago. Recently, upon checking my account, I noticed that I've accumulated $37.45 cashback. A pleasant surprise! 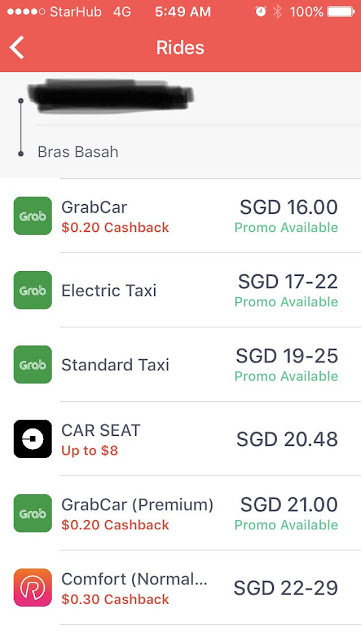 Of course, this is not the main point here, I noticed that Shopback has a feature called Rides whereby user can instantly compare the transportation fee from Uber, Grab and normal taxi within a screen. 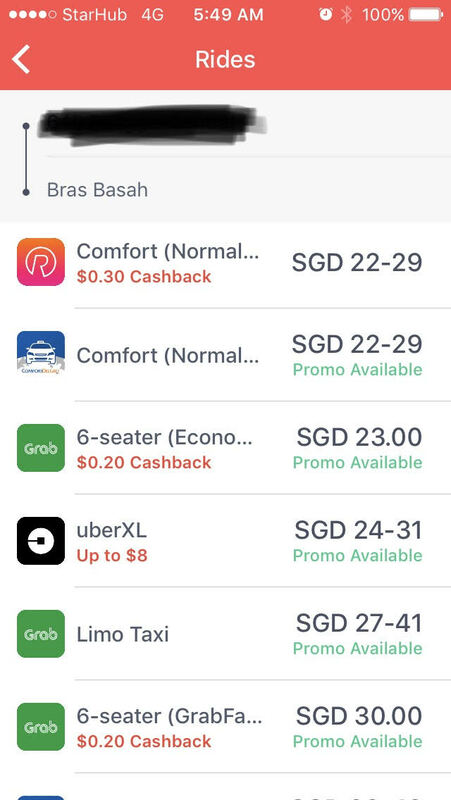 Gone are the days where you need to check the estimated fee of each of these service providers, one app at a time. 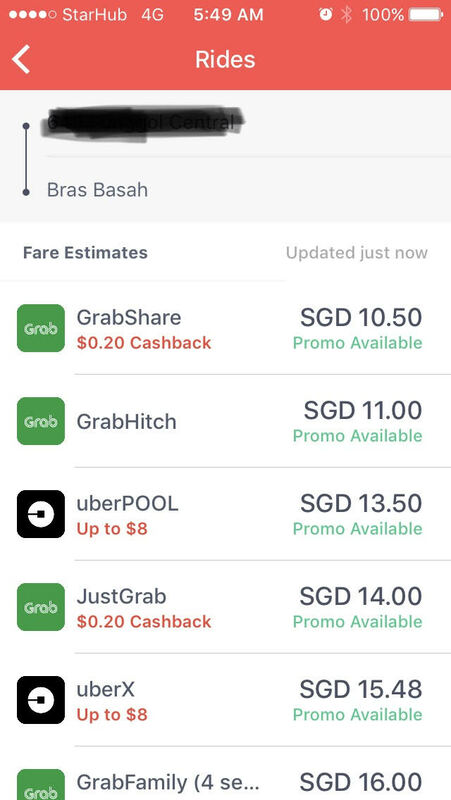 I did a cross-check against the Uber and Grab apps and confirmed that the fees indicated are correct. Not only that, some of the trips also eligible for small cashback (take note of the red text underneath the options in the following images) if you make the booking through ShopBack app. So, looks like ShopBack went one level up in their game, besides providing cash-back for everyday online shopping, it also provide price comparison feature which is cool. To check out more details of what ShopBack can offer, click here. Conclusion? Looks like it's time for me to use more ShopBack app.